Loose fit, three-quarter length sleeves, open closure duster cardigan. Sleeves are banded. Has tie at waist. Has center back seam. Has side slits. 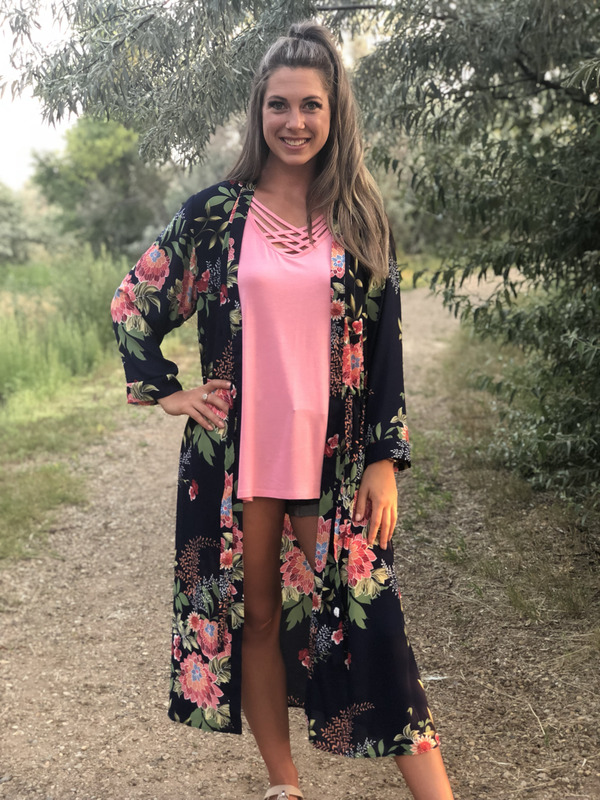 This duster cardigan is made with medium weight printed woven fabric that is soft, drapes well, is not sheer, and has no stretch.